On arrival transfer to Kandy. Enroute visit to Pinnawela. Pinnawela Elephant Orphanage - Started in 1975 to house the abandoned and thewounded, the orphanage has grown to be a big family today. The number of elephants hasincreased to more than 65 now, including baby elephant brought from various parts, as wellas 14 babies born as a result of the captive breeding program. 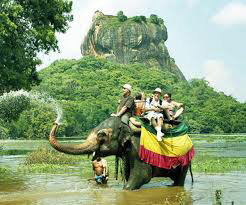 The best time to visit is thefeeding time and the bathing time when the elephant are taken to the river close by. Aunique experience never to be missed. Visit a Spice Garden at Mawanella - and see the luscious Cinnamons, Cardamoms, Pepper plants etc. You can also purchase your requirements of spices. Commence city tour of Kandy, including Upper Lake Drive, Market Square, Artsand crafts Centre, a Gem museum and a lapidary and the Temple of the Sacred Tooth Relic.Overnight stay at Kandy. Meal : Breakfast. Day 2: Visit to the Royal Botanical Gardens at Peradeniya. After breakfast visit to the Royal Botanical Gardens at Peradeniya. Sixty Seven hectares of exquisite beauty and botanical treasurers containing more than 4000 species, this is haven not only for Scientists but to every nature lover as well. Proceed to Nuwara Eliya, En Route Ramboda falls. Visit tea factories and tea plantation. Nuwara Eliya - The 'Little England' of Sri Lanka, is set against beautiful backdrops ofMountains, Valleys, Waterfalls and Tea Plantations. It is supposed to be one of the coldestplaces on the island, but is really just like an England spring day although the temperaturedoes drop at night. All around Nuwara Eliya you will see evidence of the British influence. Houses are like country cottages or Queen Ann style mansions.Overnight stay at Nuwara Eliya. Meal : Breakfast. After breakfast proceed to Bentota. Enroute visit to White Water Rafting at Kelani River. 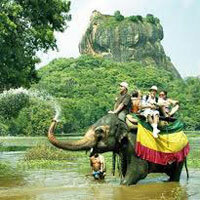 Kithulgala - Kitulgala is a small town in the west of Sri Lanka. It is in the wet zone rain forest, which gets two monsoons each year, and is one of the wettest places in the country.Nevertheless, it comes alive in the first three months of the year, especially in February, the driest month. The Academy Award-winning The Bridge on the River Kwai was filmed on the Kelani River near Kitulgala, although nothing remains now except the concrete foundations for the bridge (and, supposedly, the submerged train cars that plunged into the river in the climactic scene). Kitulgala is also a base for white-water rafting, which starts a few kilometers upstream. Next proceed to Bentota, visit Kosgoda Turtle Hatchery. Kosgoda is famous for its turtle hatchery operated by the Wild Life Protection Society of Sri Lanka. It was established in 1981 to protect Sri Lanka's turtles from extinction. The hatcheries pay fishermen for eggs that they collect at night along the long sandy beach. Visitors are shown the huge tanks filled with new born but lively hatchlings. After being fed the hatchlings are taken to the sea and released when they are 2- 4 days old. They are not always released during the safer hours of darkness. Although October to April is the main laying season, some eggs can be found at Kosgoda throughout the year.Overnight stay at Bentota. Meal : Breakfast. After breakfast transfer to Colombo. City tour and shopping in Colombo. like many capital cities in developing countries Colombo is fast changing its face.Almost overnight, skyscrapers arise from where old buildings once stood, yet in some parts; the old world charm is retained. A 100-year-old clock tower and several British built, colonial buildings are still to be seen in the city. The Pettah bazaar – where one can shop for bargains, a Hindu and a Buddhist temple, residential areas where you find the stately homes of the affluent, the Colombo museum, the Bandaranaike memorial international conference hall – an outright gift to Sri Lanka from the people's republic of china, the new parliament in Sri Jayawardenapura and the folk art center are some of the places of interest that one can visit to Visit shopping complexes such as ODEL, HOUSE OF FASHION, MAJESTIC CITY. Overnight stay at Colombo. Meal : Breakfast. Breakfast, Check-out. Departure transfer to Colombo Airport.Meal : Breakfast.